Annotation: This 1973 National Book Award finalist tells of a 12-year-old girl who befriends a Nazi soldier, who is imprisoned in a World War II camp in her small hometown in Arkansas. - World War, 1939-1945; Arkansas; Juvenile fiction. - World War, 1939-1945; United States; Fiction. - Conduct of life; Fiction. During World War II, when her small Arkansas town becomes the site of a camp for German POWs, 12-year-old Patty learns what it means to open her heart. Although she's Jewish, she begins to see a prison escapee, Anton, not as a Nazi -- but as a lonely young man, a kindred spirit. And Patty is willing to risk losing everything -- even her freedom -- for the sake of their friendship. This thoughtful and hard-hitting novel has become a modern classic. Contributor Bio(s): Like Beth Lambert, Bette Greene grew up in a small town in Arkansas. 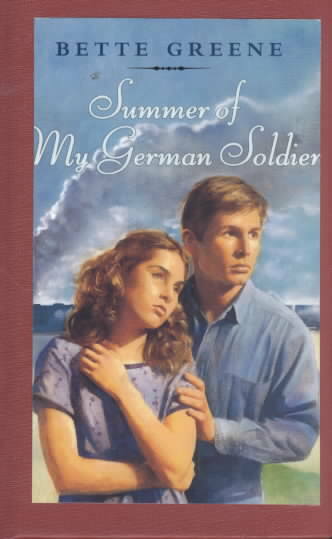 Her first novel, Summer of My German Soldier, won unanimous critical acclaim and became an immediate best-seller. Bette Greene lives in Brookline, Massachusetts.